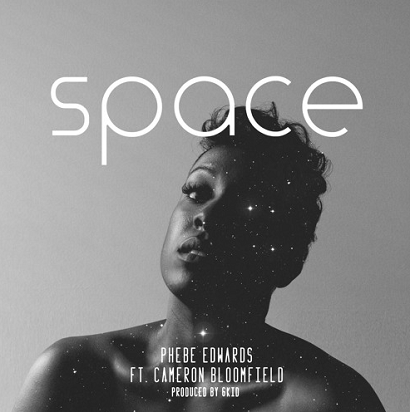 PHEBE EDWARDS graces her presence on NEW LEASE MUSIC with her latest single entitled ‘Space’. Laced with a feather-light combo of chillwave and R&B, the track showcases this London-based singer/songwriter’s well poised and soulful instrument, yearning for freedom from a trapped relationship. As a solo act, Phebe scored some success with debut single ‘Say Suttn’ charted at number 14 in the iTunes R&B chart within hours of its release. To date her most current releases and tour support for renowned artists Gabrielle, Sam Bailey and Louisa Johnson have pushed her fan base to over 12k. If you like what you hear and you’re in the London area, why not show your support and see Phebe perform at Jazz Cafe on 8th May, where she’ll be opening for Gabrielle’s new album launch.